About a week ago I was walking through town and passed a shop that was already decked out for Christmas. It was still October, but it got me thinking about how fast this year has gone by, and how quickly the next few weeks will disappear and it really will be Christmas! I have not given a thought to gifts, Christmas Day plans or written a letter to Santa, but I had put some thought into the Christmas Cake. Last week, on our way back from an overseas trip I made sure I stocked up on booze in the Duty Free store. Purely for the Christmas Cake. Honest! My mother has always made Christmas Cakes for family and friends but I never liked it as a child and consequently, never gave it another chance until a couple of years ago. Now, I love it. All that heavy fruit. And alcohol… well it is the season to be jolly! The ingredient list for this cake is long and it’s not exactly cheap to make if you don’t already have most of the ingredients (especially the alcohol) but the result is a dense, moist, rich cake totally unlike its dry counterparts for sale in supermarkets. It makes a large 10” square cake (about 80 – 100 servings as a small piece is sufficient) which will last for weeks or months afterwards when stored in a cool place. Which is a good thing because there is no way in the world one of these cakes will disappear in one sitting! Also note, traditional fruit cakes such as this one are best made a few weeks in advance as they require at least 2-4 weeksbefore cutting to mature and develop that rich, decadent, christmassy flavour. So get cracking! Now I would like to introduce the cast of characters. In a big pot, mix the following ingredients and bring to the boil, stirring now and then. 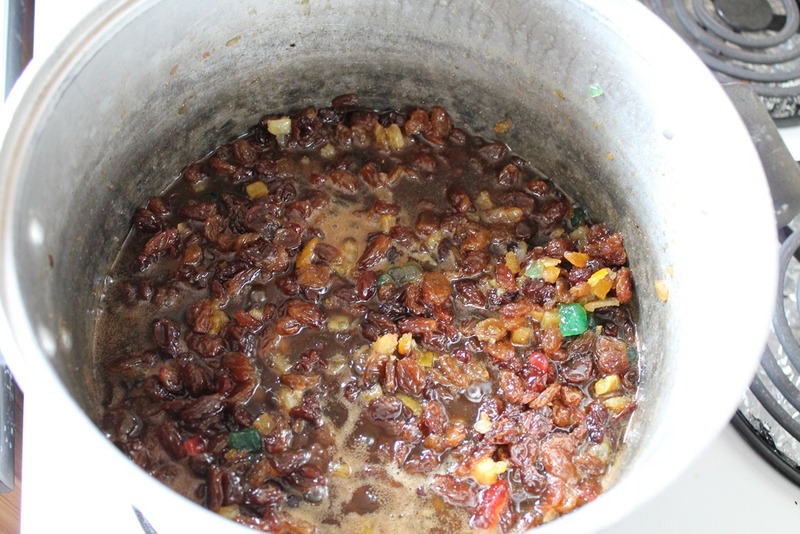 Once the mixture has come to the boil, remove from the heat and leave to cool. 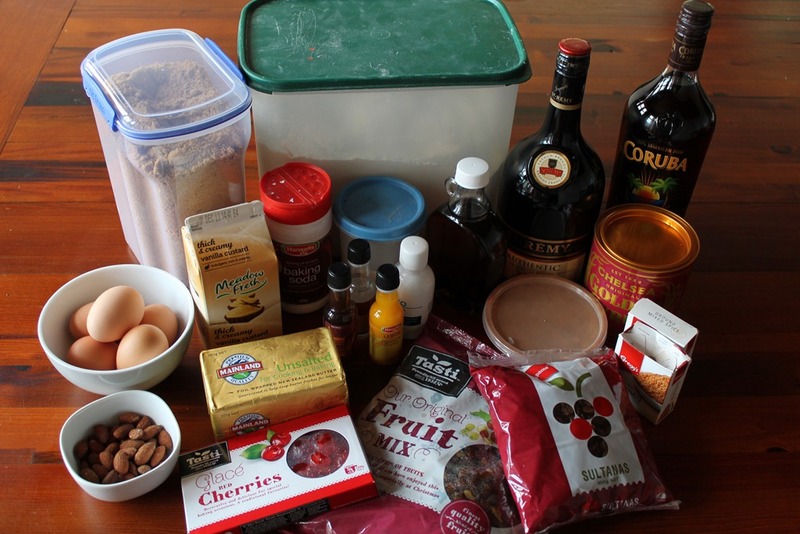 or you can just make it all brandy (like I did)! Leave until cold (overnight if necessary), and then add the dry ingredients. Stir well, then add the wet ingredients. 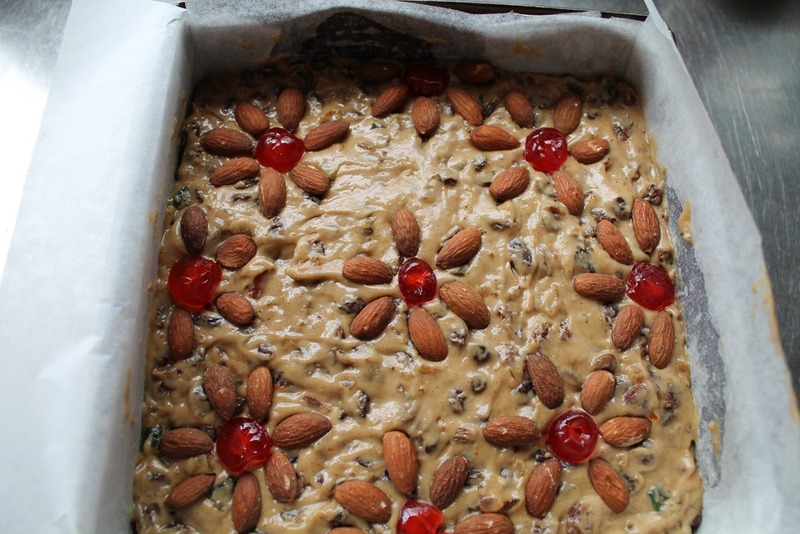 Decorate with cherries and almonds before baking if cake will be un-iced. Bake in a double lined 10” tin for half an hour at 180 C, then 3.5 hours at 120 C.
Within half an hour of placing the cake in the oven your house will be filled with the most delicious aroma. Enjoy! As soon as cake comes out of the oven, liberally sprinkle rum over the top. I used about 1/4 cup. I can guarantee, if you thought the aroma was great while it was cooking, you will be in heaven after pouring over the alcohol. Now we come to the most difficult part of the whole process – wait at least 2 weeks before cutting. 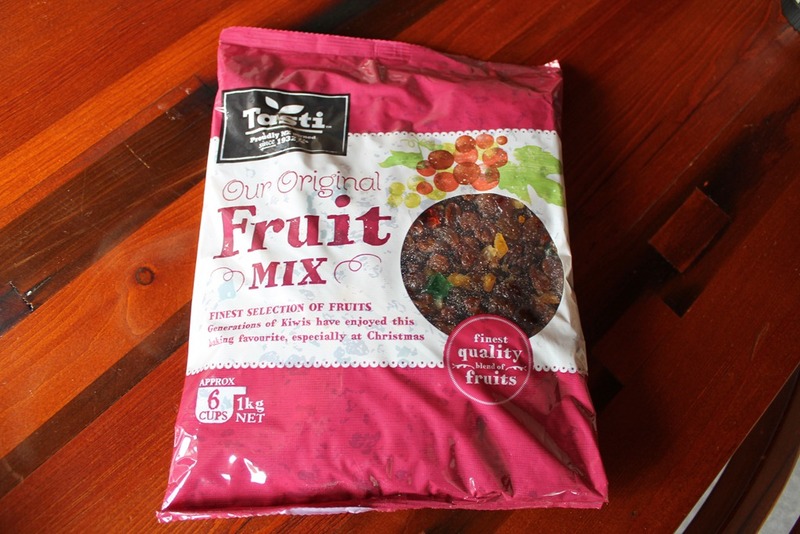 It is a mixture of sultanas, mixed peel, and cherries but is heavier on the sultanas than the other fruits. 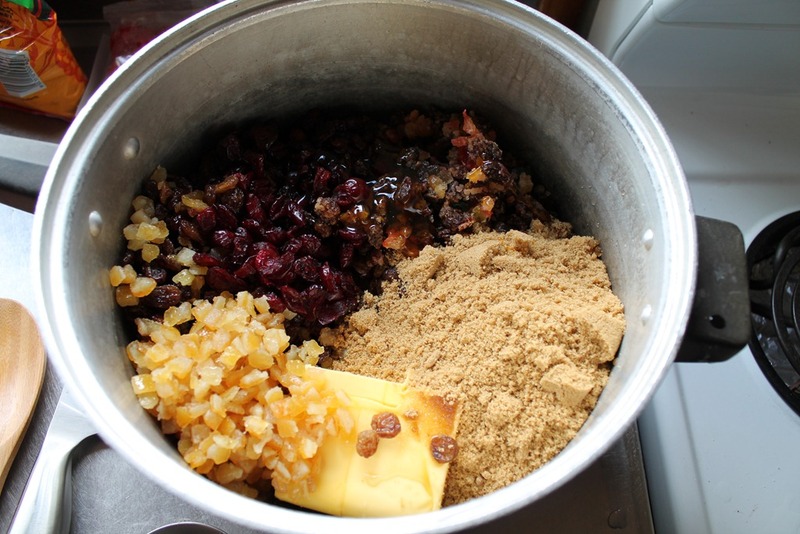 As we are also adding another 400g of sultanas anyway, if you want to vary the fruit mix a bit with say, more mixed peel, cranberries or dried apricots, then put those in first and make up the balance of the 1200g with the standard fruit mix. Glycerine. It’s not used a lot these days and although it is used as a baking ingredient (it sweetens, keeps the cake moist and also has preservative properties), some supermarkets do not stock it in the baking aisle. 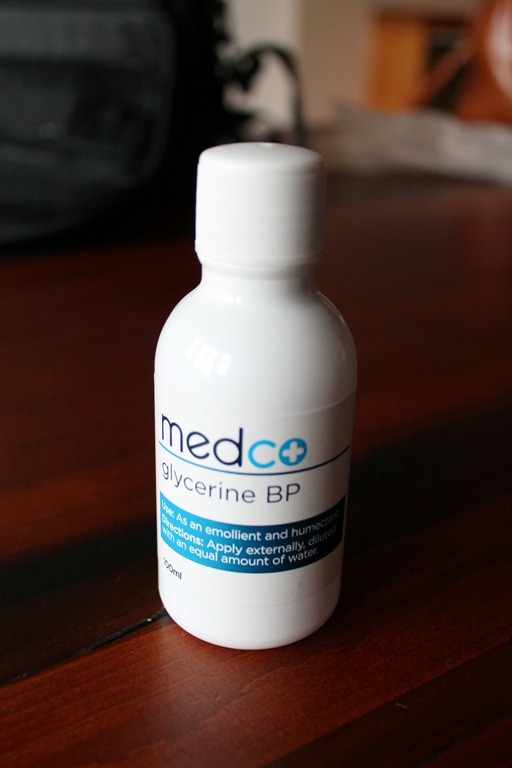 Due to its medicinal properties, it may be found in the first aid/medicines aisle. If you have trouble finding it in the supermarket, visit your friendly pharmacist. Even unfriendly pharmacists may stock it! As far as the alcohol content is concerned, there are a few different variations you can use. I just used brandy to add to the pot after boiling the first lot of ingredients, but you could use sherry, or a mixture of the two. I actually made a second cake and used Cointreau in the mixture and sprinkled brandy over the cake when it came out of the oven. For the custard, I used ready made custard from the supermarket chilled foods section, but feel free to make your own if you wish. Simple! 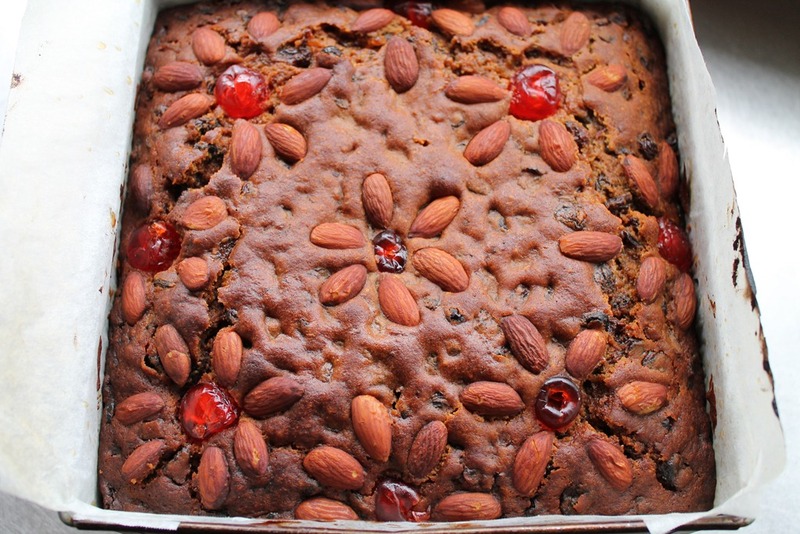 Fruit cakes are more time consuming to make than lighter cakes, but Christmas only happens once a year, although there is no law (as far as I know) about eating it at any other time of the year if you choose! yes! The time is now! I have both my girls bdays to get out of the way first [have already baked 80plus cupcakes & 1 bday cake] before I can start on my Chrissy cake. Yours looks gorgeous.